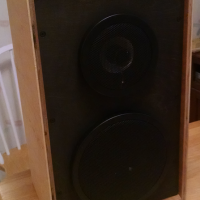 I wanted to create a light weight, moderately sized speaker with a coaxial mid-range/tweeter and a paper or poly woofer in a sealed enclosure. 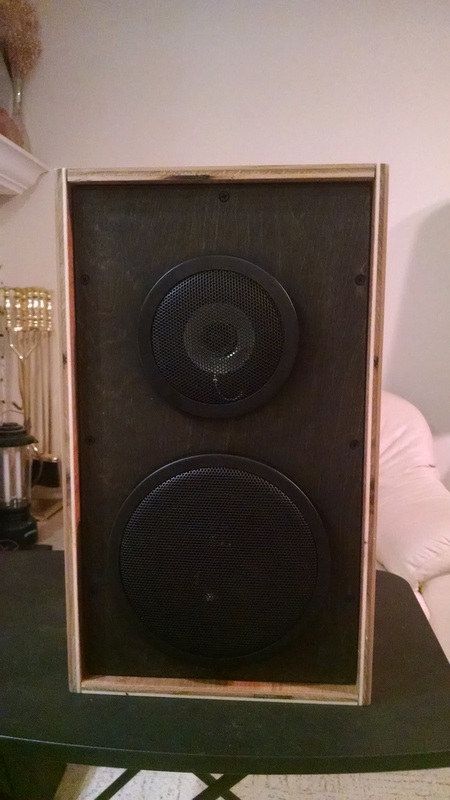 I intended to use the classic bookshelf speaker shape from the 70’s. 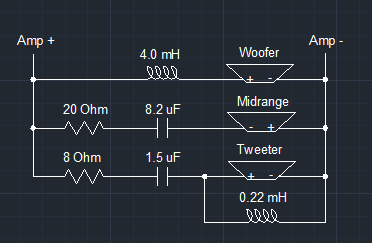 I was designing for a smooth and natural sounding speaker, one that you can listen to for hours. 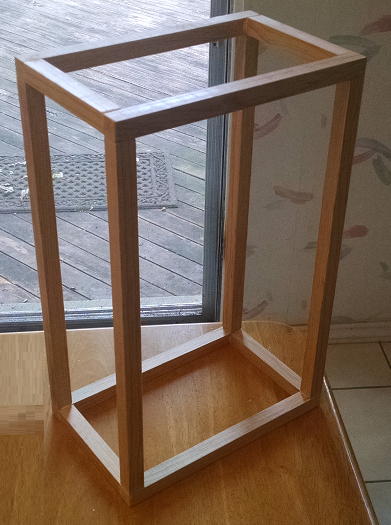 I used 1/2″ Birch Plywood for its stiffness, dimensional stability, light weight, and good looks. 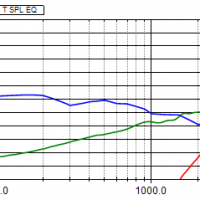 I planned for a Qtc between 0.7 and 0.9 for solid bass response. 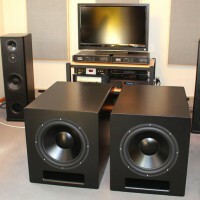 I listened to several different woofers in two different box sizes to get the bass response that I was looking for. 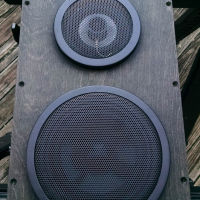 I used a steel grille for the mid-range to mount the coaxial tweeter. 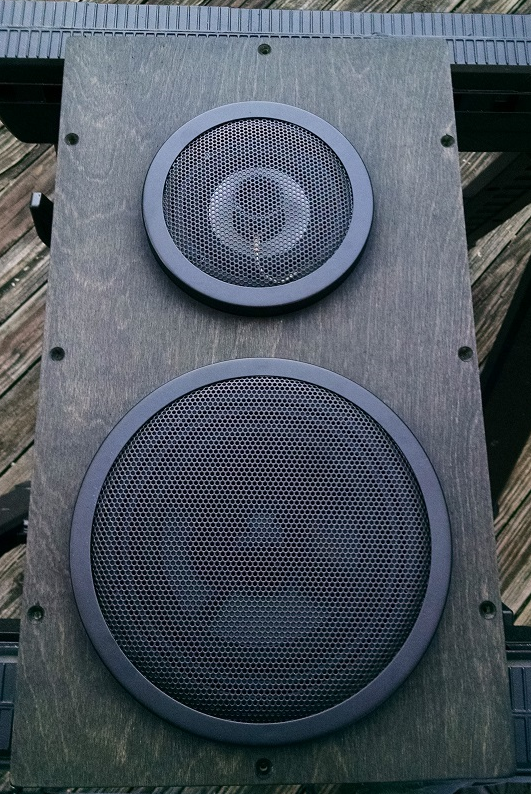 I chose a steel grill for the woofer also, to match the style of the mid-tweeter. I left a recess in the front panel for a cloth grille in the future. 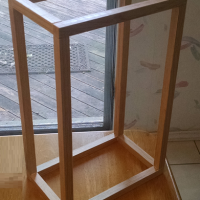 I started with a frame of 3/4″ square dowels. I then glued the plywood to the frame with adhesive . The front and rear panels are screwed in place for easy upgrades, if needed. The tweeter is glued to backside the steel grill, near the center of the mid-range driver. 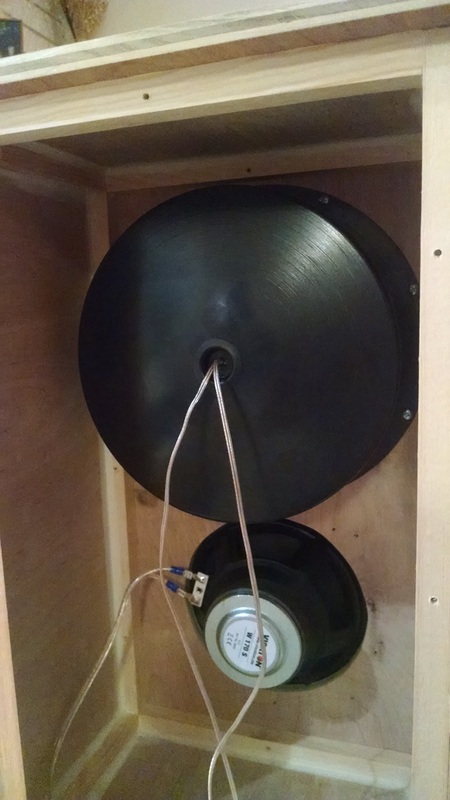 I used a ceiling/wall enclosure to separate the bass energy from the mid-range driver. 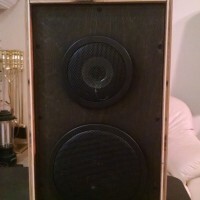 The mid-range enclosure is heavily stuffed, but I left the woofer enclosure empty to maximize the bass response. I like very minimal crossovers, first order if possible. 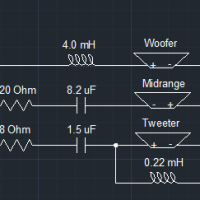 I find that speaker voicing is greatly simplified with first order crossovers. 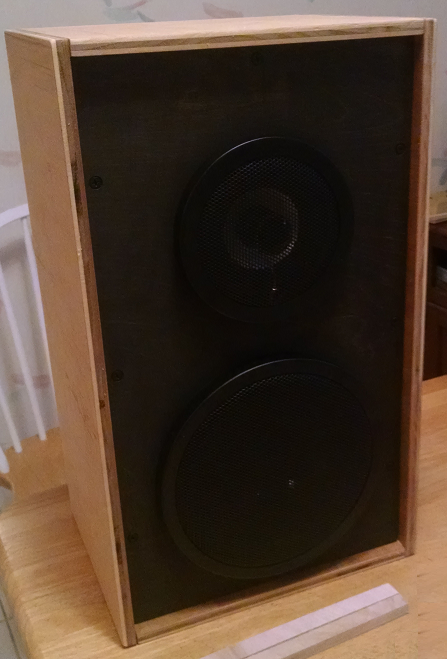 I did find that the 5/8″ tweeter sounded much better with a second order crossover. 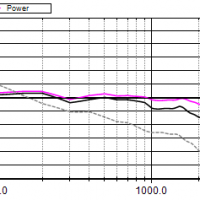 I use simulation software to verify driver compatibility and to get a reasonably smooth starting point. I then do all final crossover adjustments by ear. Listening during the design and build phase is critical. 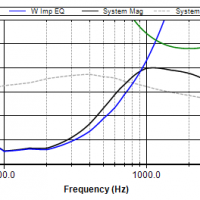 Numbers and graphs are significant and very helpful, but the final sound is all that really matters. 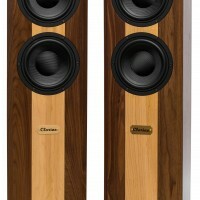 Style is important also, the look of the speaker should match its intended environment. 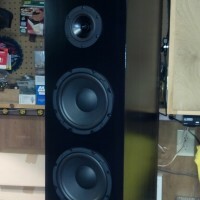 This speaker project has been a success. First and foremost, I think it sounds very good. Secondly, I have gotten good feedback from many people who have heard it. 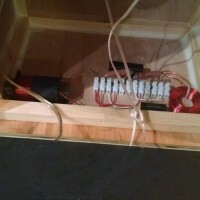 The sealed box bass is very full sounding. The mid-range sounds natural, as I had hoped. The tweeter disappears, which is just how I like it. 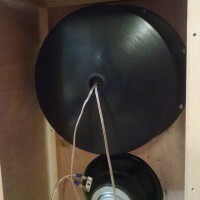 I think that the coaxial design enhances the overall coherence of the sound. I have been interested in music and audio since my early teen years. 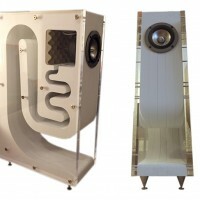 I have always had a great appreciation for the math and physics of sound systems. 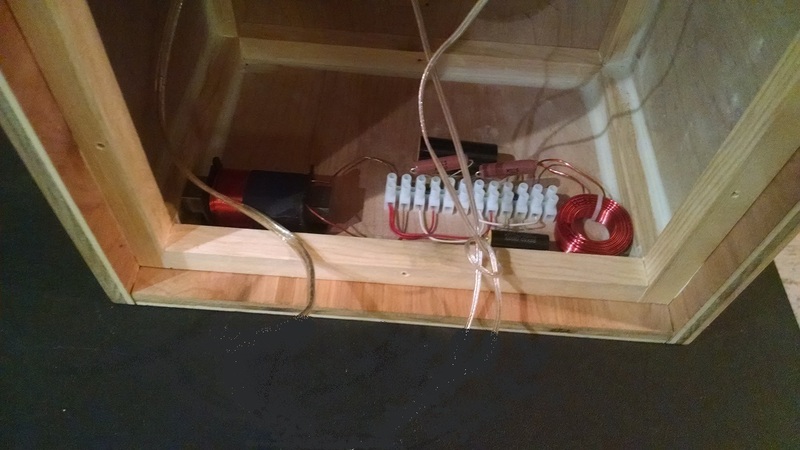 I have designed some successful auto sound systems, but my lack of cabinet building skills have kept me from building a truly nice home speaker. 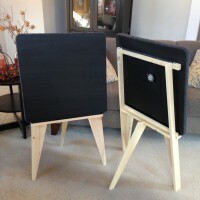 Hopefully, I have jumped that hurdle and will continue to build more home speakers in the future. These sounded great at InDIYana!